I’m excited to read this Wednesday at the SFU Lunch Poems reading series. 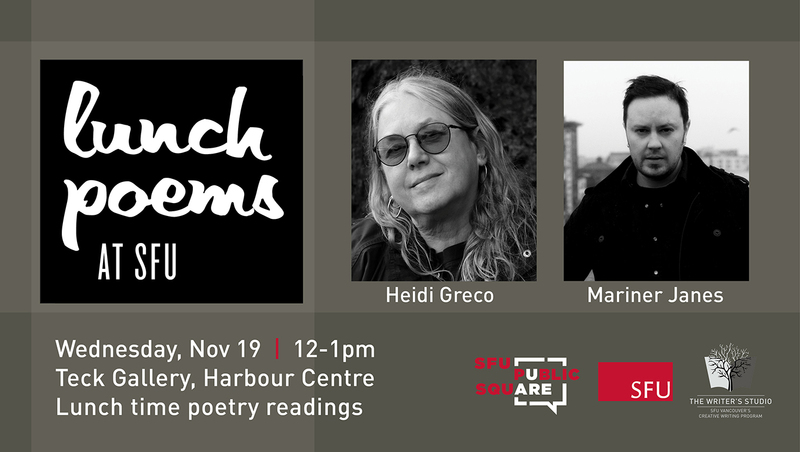 If you’re in Vancouver at lunch then, come hear myself and Heidi Greco read poems with a Q & A following! This is always a well-attended and interesting event.